New seating was designed to generously accommodate 2,500 fans and meet ADA and code requirements. The design also included a new press box for media and coaches, as well as restrooms, concessions, and ticketing pavilion. Landscaping was improved to increase public security. ERPS’s Memorial Stadium is called Memorial Stadium in order to honor the 38 El Reno students who gave their lives in service to our country in World War II. The field was dedicated in September 1949, and a plaque bearing the names of those thirty-eight young men was put up at the field at that time. We now know of 44 total former ERPS students who meet that criteria and who will be honored at the re-dedication of the stadium on October 4, 2019. For information on the Memorial Stadium Rededication click here. Hubert Austin Ables graduated from El Reno High School in the Class of 1936. He joined the U.S. Army Air Corps on October 4, 1940. He was in the 7th Material Squadron of the 4th Air Base Group. 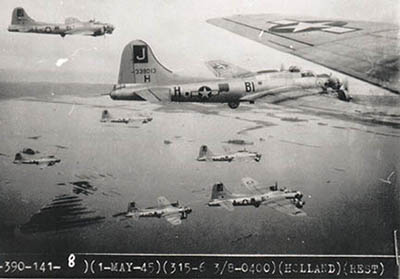 The 7th Mats, as they were known, provided supplies and performed maintenance on the B-17 bombers of the 19th Bombardment Group, the same B-17 Flying Fortress group which had some of its bombers at Hickman Field in Hawaii during the Japanese attack on December 7, 1941. 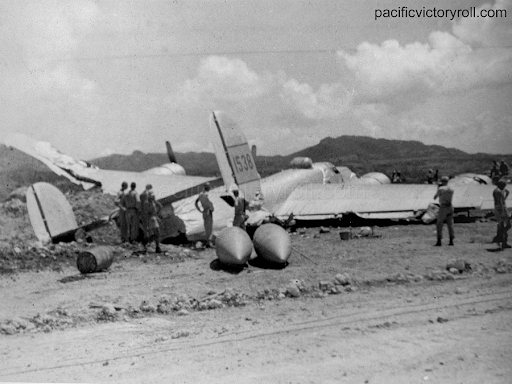 The next day--8 December 1941--the Japanese invaded the Philippine islands, and in the process destroyed many of the 19th Bomb Group’s planes which were also located there at Clark Field. The 7th Mats were subsequently ordered to Bataan with limited supplies and weapons. 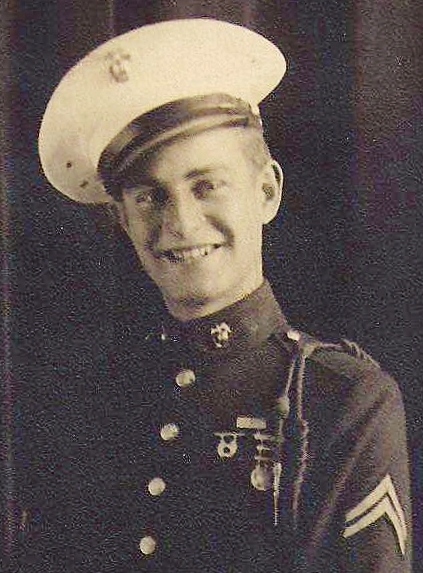 As the Japanese advanced, the Battle of Bataan commenced, and during that battle, sometime in April of 1942, Corporal Ables was captured by the Japanese. Although the exact date of his capture is seemingly unknown, it was almost certainly on or before April 9, 1942. Due to the circumstances, he was also almost certainly involved in the Bataan Death March, one of the most horrendous things to take place during World War 2 at the hands of the Japanese military, a 65-mile forced march on which many Allied soldiers died--a grueling trip which took on average about five days to complete. Now a prisoner of war (P.O.W. ), Corporal Ables was placed in Camp 1 at Cabanatuan 1-2-3, Nueva Province, Luzon, Philippines. Within about two months from his arrival at that P.O.W. camp, Corporal Ables died from malaria on June 17, 1942. It wasn’t until sometime in October 1949, over seven years after his death (and over four years from the end of World War 2), before Hubert Austin Ables’ body was returned to Oklahoma for re-burial; he is buried at Frisco Cemetery located north-northwest of Yukon, OK.
After V-E Day on 8 May 1945 ended the war in Europe, and even after World War 2 officially ended on 2 September 1945, when Tec 3 Wade H. Allison was serving in the HQ (Headquarters) Company of the 15th Army, chemical section, he was due to return home from Germany just a few days after 13 November 1945. But on that fateful day, he was involved in some sort of automobile accident--the exact details which we have yet to ascertain--in Bad Nauheim, Germany, an accident in which he died. He had attended El Reno High School for just about one year during his senior year. Like so many students did, he withdrew from school early, before graduation, to serve his country. Although he was born in Kansas, Ralph Everett Bell moved to El Reno with his family when he was just about four years old. 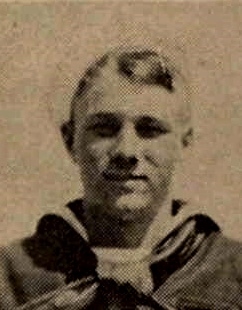 He attended El Reno Public Schools from the time he entered school until the end of May 1936, the end of his sophomore year, when he enlisted in the U.S. Navy. Ralph had been very active in sports during his time in school. 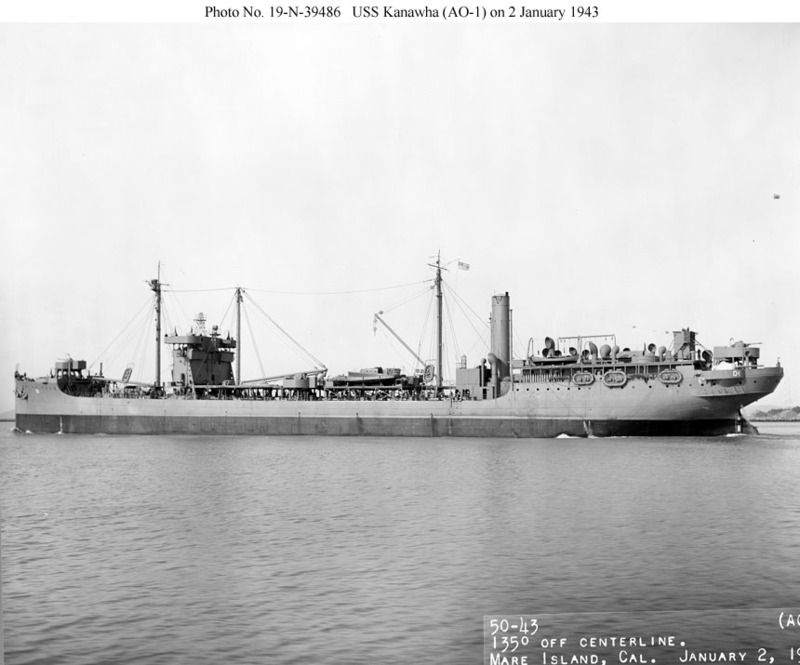 Although he had served on various naval vessels during his time in the Navy, his final assignment would be aboard the USS Kanawha, an oiler-tanker ship. The ship was attacked by a Japanese Val dive bomber aircraft on 7 April 1943 and sank in the early morning of 8 April 1943. It had been refueling ships in Tulagi Harbor in the Solomon Islands which are located east of Papua New Guinea and northeast of Australia. The ship sank off the southern tip of Tulagi Island. Most of the crew were declared dead on 8 April 1943, but MM2 Bell was originally declared Missing in Action and wasn’t declared dead until 8 October 1943, six months later. Wilmot Bolinger was a graduate of El Reno High School class of 1937. He then went on to attend Oklahoma Baptist University for a time. Among the many facts we've uncovered about him, we've learned that he was in the Boy Scouts, played the trumpet, was active in theater and speech, was an intramural wrestler in the heavyweight class, and was an honor student. 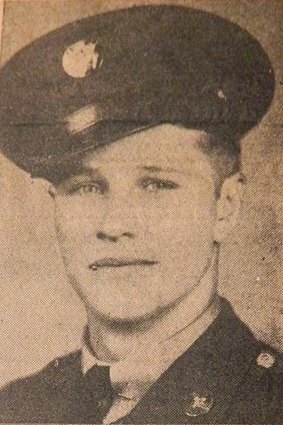 Aviation Cadet Bolinger died while at Enid Army Flying School (a.k.a. Woodring Field in Enid, OK) as part of the 474th School Squadron. He died in the crash of a BT-15 trainer aircraft three miles north of Oakwood, OK, on a training flight. He was married to Frances Christene Moore of Shawnee, where he attended college. 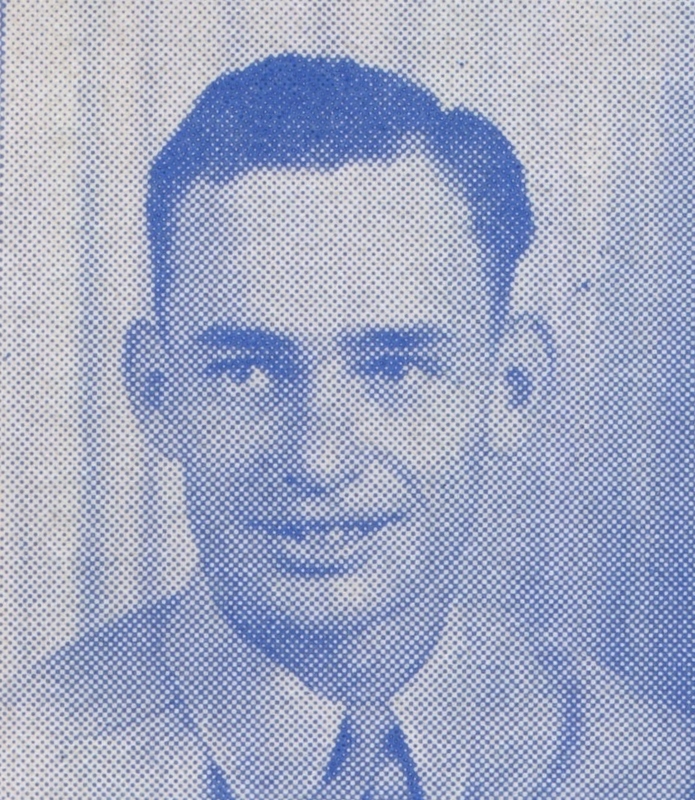 The two pictures attached are his senior picture, as found in the 1937 Boomer yearbook, and his service picture as found on the "Gold Star Men" page in the 1946 Boomer-Collegian yearbook which honored those former El Reno Students who had died in World War 2. Harry Bradly only attended El Reno schools through the 7th grade, at which point his family moved to Chicago, IL. He graduated from high school there (in Chicago) at Calumet High School in 1941. Formerly a cadet master sergeant in the R.O.T.C. (Reserve Officers' Training Corps) at Calumet High School in Chicago, Aviation Cadet Bradly died in a training accident crash of AT-6C Texan trainer aircraft near Matagorda Island along the coast of Texas. The crash occurred as the result of a "stall/spin" according to records of the incident. He was based at Foster Field, Victoria, TX at the time. We know of some other activities he was involved in while in school, including being in the acapella choir. There are still some relatives of Harry Eugene Bradly living in the El Reno area. 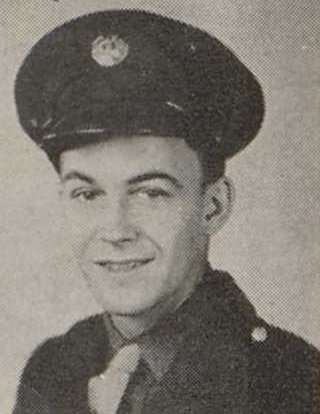 The attached pictures are Harry Bradly's senior picture in his ROTC uniform from the 1941 Calumet High School (Chicago, IL) yearbook, and a service picture of A/C Bradly from the 1944 El Reno High School Boomer-Collegian yearbook honoring EHS's "Gold Star Men" who the school knew had died in the war to that point. He was an El Reno High School graduate, a member of the class of 1937 (he is listed as Emmett Wilson Davis). He had attended both grade school and high school at El Reno. 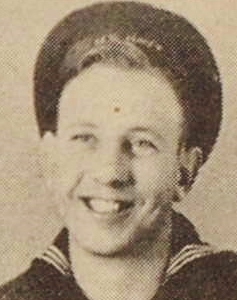 Seaman Burns died in the naval hospital at Twin Falls, Idaho, due to a cerebral hemorrhage/aneurysm. He had enlisted in the Navy just a few months before being stationed at Camp Bennison in Farragut, Idaho. He left behind a wife and a son to mourn his loss, along with many other friends and relatives. 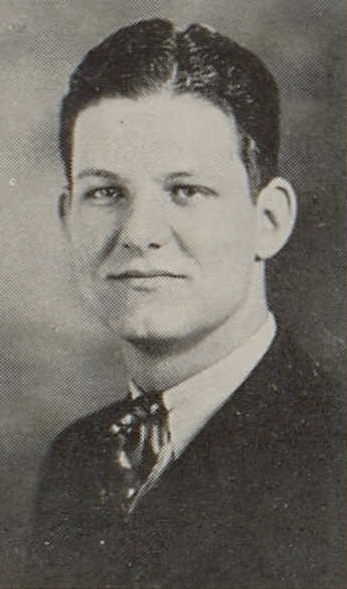 Attached image of "Wilson Davis" is from the 1937 EHS Boomer-Collegian yearbook. Sgt. Duffield was a nose gunner in a Consolidated B-24 Liberator heavy four-engine bomber in World War 2 as part of the 22nd Bomb Group, 33rd Bomb Squadron--his group was known as the 'Red Raiders." With the war basically over, in late August 1945, a B-24 nicknamed "Round Trip Ticket II" of the 22nd Bomb Group loaded up with extra luggage and about 20 extra men who were seated on wooden benches which had been unusually placed in the large bomb bay of the B-24. The plane then set out on a ferry trip from Clark Field in the Philippines north to Okinawa. When the B-24 landed there, at the Motubu Airdrome, the tire on the right main landing gear of the aircraft blew, causing the bomber to ground loop, careening off the runway, breaking the aircraft in two near the bomb bay (and doing much other significant damage to the aircraft). A number of passengers on board sustained injuries, but Sgt. Duffield was thrown from the aircraft and died. His body was found crushed underneath the wrecked aircraft's #3 engine (the inboard engine on the aircraft's right-hand side). He was the only person who died in the crash, making him the last casualty of the war for the 22nd Bomb Group. 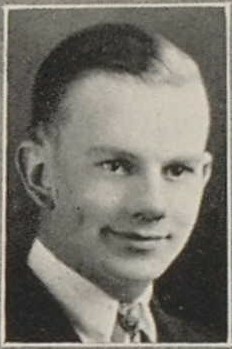 The picture of James Rene Duffield is as a junior at El Reno High School, as found in the 1943 Boomer-Collegian yearbook. He was El Reno's only casualty of the war who was in the U.S. Marine Corps. He was assigned to H&S Company, 6th Marine Regiment, 2nd Marine Division. 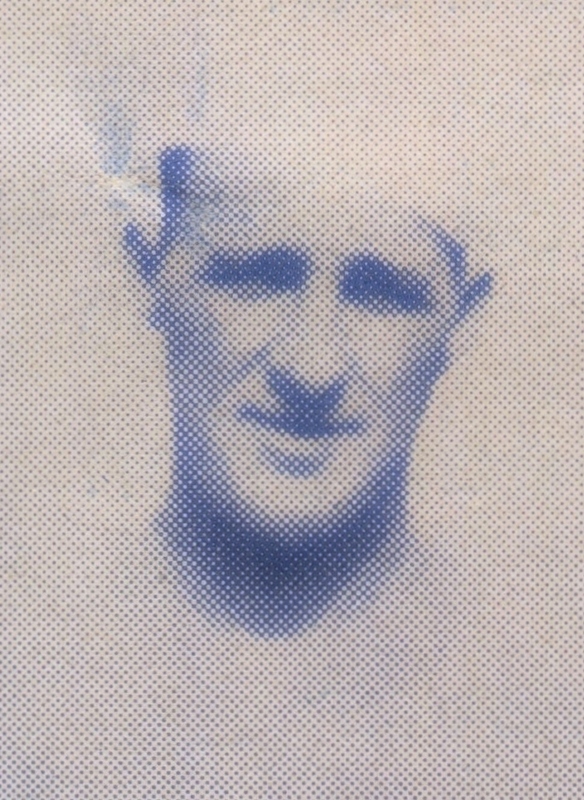 Corporal Dyche died from wounds he received in the battle for Saipan. A fireman aboard the merchant ship S.S. Mexican, James Roby Ferguson was lost at sea on his first voyage after completing training when his ship encountered a serious storm four days out to sea from New York City. Roby Ferguson was washed overboard in the storm, the storm also causing considerable damage to the ship, but his body was unable to be recovered due to the severity of the storm. His was the only life lost in the incident. Roby Ferguson was recognized posthumously as a graduate of the El Reno High School Class of 1944 in May of that year, after perishing earlier in January. He had attended Sacred Heart School before transferring to El Reno Schools for the 5th grade, where he first attended Irving School. 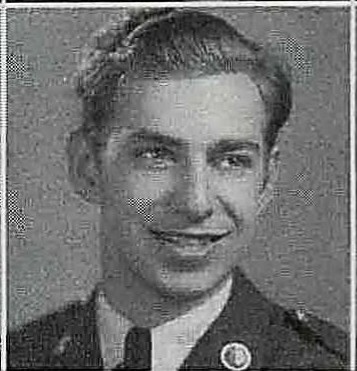 The pictures attached include his senior picture as seen in the EHS Class of 1944 composite picture. 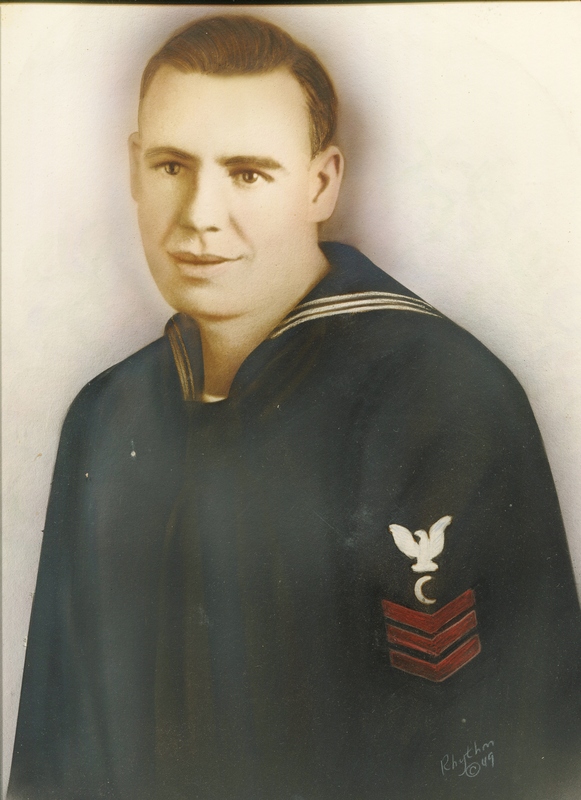 This is also his service picture in uniform for the Merchant Marines. Leonard Flagler was a member of the El Reno High School Class of 1934 which graduated on May 17, 1934. 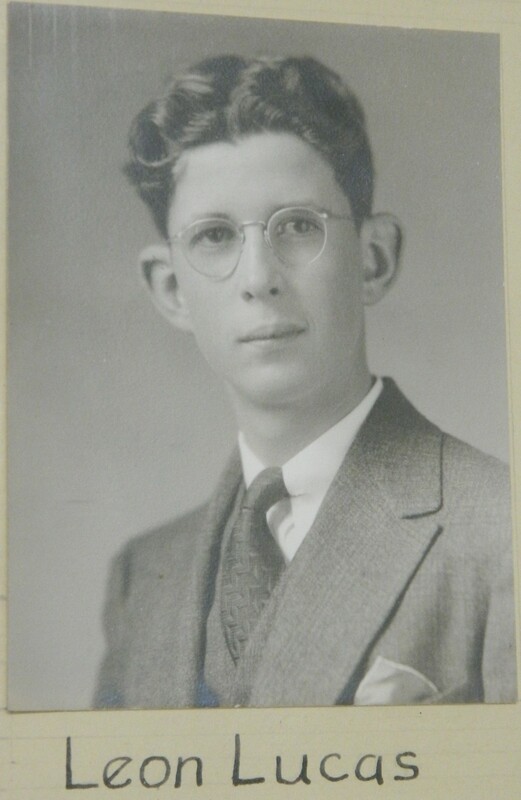 The oldest of four children, he had two brothers who also graduated from EHS and served in World War 2, Forrest Edwin Flagler (EHS 1936) and Kenneth Lowell Flagler (EHS 1940), and one sister, Hazel Winona Flagler (later Meyers / Jackson), who graduated from EHS in 1938. He had attended Chickasha schools originally, but he transferred to El Reno schools as of September 6, 1932. Served in HQ company, 645th Tank Destroyer Battalion, a part of the 45th Division. This group used howitzers and other anti-tank measures in the war. T/Sgt. Flagler was Killed in Action during the fierce fighting in the German offensive at Anzio beachhead in Italy. Photos include a senior picture from the EHS Class of 1934 composite picture in the halls of El Reno High School and his service picture as found in the 1946 Boomer Collegian yearbook. 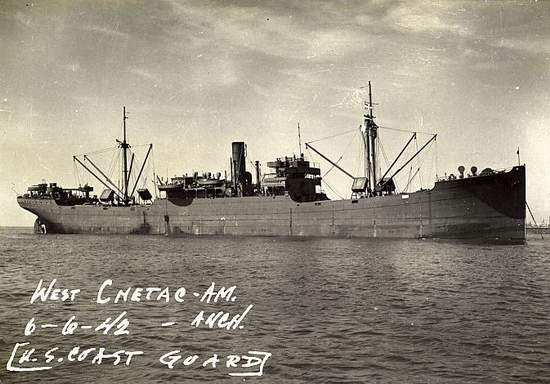 He perished while serving aboard the merchant ship West Chetac, which was sunk by a German U-boat submarine near British Guiana, which is on the northern coast of South America. 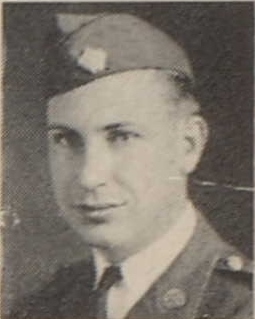 Above picture of R. Flippen is from the memorial page in 1946 El Reno Boomer-Collegian yearbook. After attending EHS through high school, during his senior year, on 6 February 1940, Warren Vernon Frazier enlisted in the U.S. military, recognizing the impending threat of war that was becoming apparent on a global scale at that time. 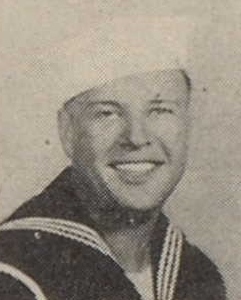 On 2 March 1942, in the Battle of Java, Warren Vernon Frazier was aboard the U.S.S. Pillsbury (DD-227), a destroyer, which was attacked by Japanese cruisers. Two other U.S. ships were lost in the same incident, and their loss was a mystery as there were no surviving U.S. witnesses. It was only after World War 2 had concluded and the Japanese naval logs could be examined that the true fate of these seamen was known. Consequently, F1 Frazier was not declared dead until 1945, and his family did not receive his Purple Heart until May 1946. Warren Street in El Reno is named in his honor. The U.S.S. Pillsbury had been in the vicinity of Borneo around the time that the Japanese attacked Pearl Harbor just four months earlier. An EHS graduate of the Class of 1923, Gustavus DeLana "Gus" Funk (who was named for his grandfather Gustavus DeLana) married a fellow EHS Class of 1923 classmate, Mae Rose Aderhold. The couple had one daughter, Jean Funk, who herself graduated from El Reno High School in 1946, four years after her father's passing. For a time, Dr. Funk owned the El Reno Sanitarium (the El Reno hospital, one of the first major hospitals in the state). He enlisted in the military and, just about the time he was about to conclude his enlistment, the Army deemed him too important for the impending war effort, so he continued on serving in the U.S. Army Medical Corps. On February 26, 1942, less than three months after the Japanese attack on Pearl Harbor which catapulted the US into the war, Capt. Funk suffered a terminal heart attack at home here in El Reno while on leave. At the time of his death, he was stationed in Lubbock, Texas, performing medical exams on new recruits. He would return to El Reno on the weekends to perform surgery on patients in El Reno. His wife, Rose, was with him when he died. He was the first former El Reno student to die during World War 2. The attached pictures are Funk's service picture from the 1943 EHS Boomer-Collegian yearbook honoring EHS's "Gold Star Men" to that point in the war and senior picture from the 1923 EHS yearbook. 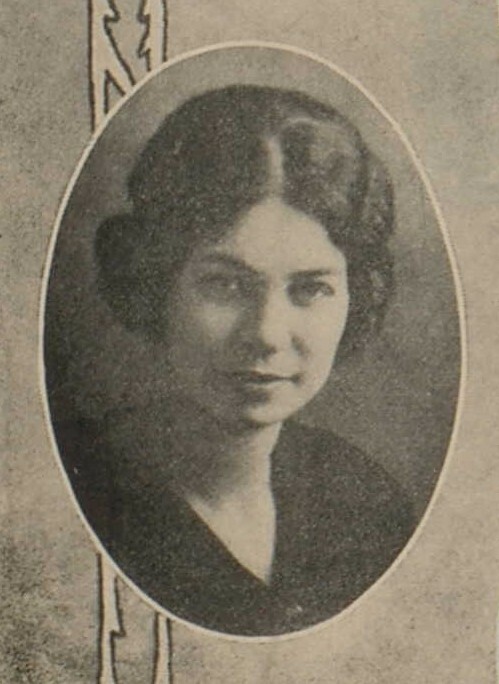 Mae Rose Aderhold's (Gus' future wife) senior picture from the 1923 EHS yearbook. 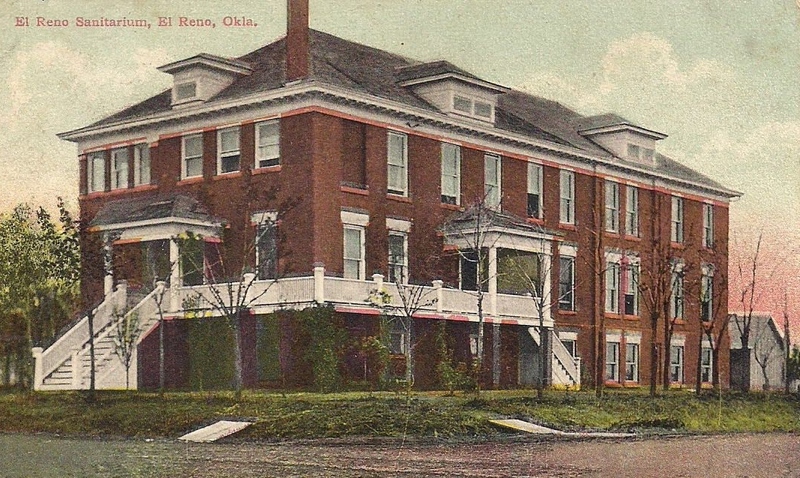 A postcard picture of the El Reno Sanitarium (hospital) that Capt. Funk owned and where he worked for quite some time. He served as an engineer /op turret gunner on a Boeing B-17F Flying Fortress heavy bomber. After training stateside, and just before he was to be assigned to a regular Heavy Bombardment Group in the 8th Air Force, T/Sgt. 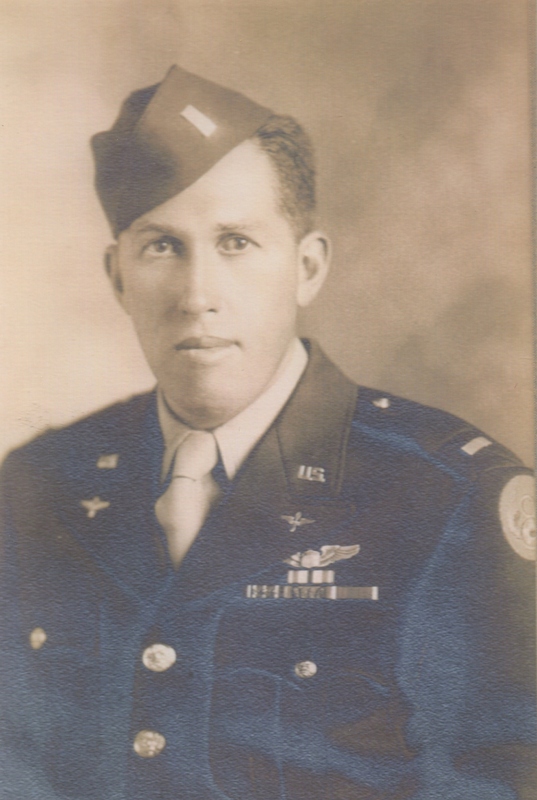 Hinds was assigned to the Plummer Provisional Group, 318th Bomb Squadron. A book, Bomber Mountain Crash: A Wyoming Mystery by R. Scott Madsen (which we do not have a copy of yet), has been written about this incident, and interestingly our James Alfred Hinds was the one crewman that the authors weren't able to find much information on. He had moved from Oklahoma to California recently, which made keeping track of him hard for the researchers of that book to figure out. The above pic is his service picture. 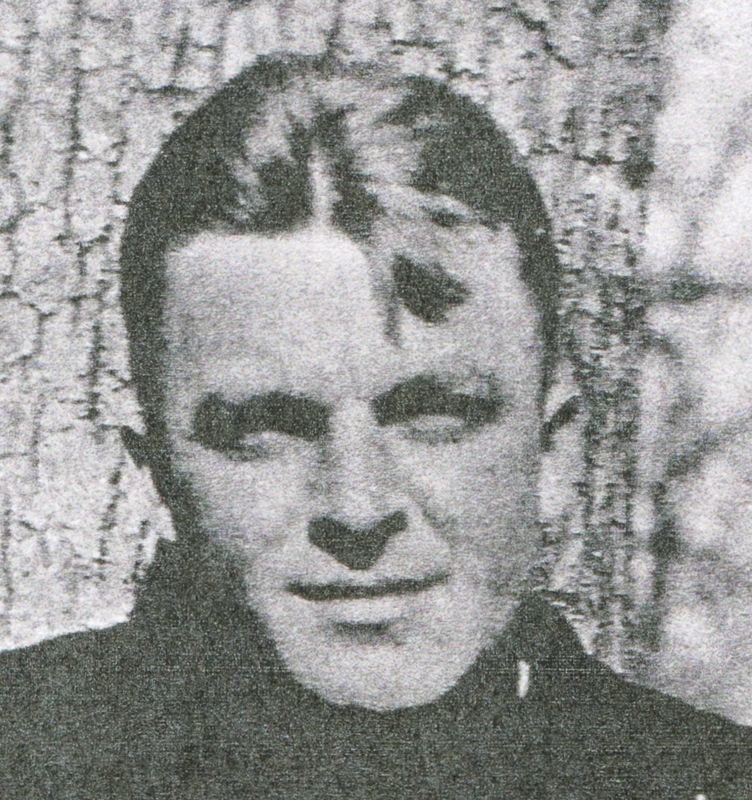 Thomas Gordon Jackson was a graduate of EHS, a member of the Class of 1928. S/Sgt. 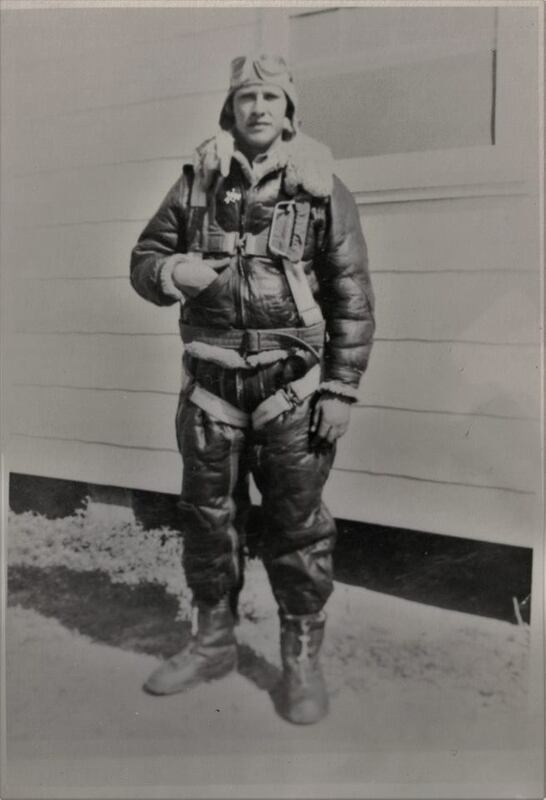 Jackson was a waist gunner in a B-17 Flying Fortress bomber, one of nine of our forty-three World War 2 casualties who was in a B-17 bomb group. In fact, Gordon "Zoad" Jackson, as he was also known, was part of perhaps the most famous bomb group in World War 2, the 91st Bombardment Group, 324th Bombardment Squadron, the exact same bomb group and squadron that the famed "Memphis Belle" B-17 was a part of. On 25 July 1943, the 91st's B-17F "Ritzy Blitz" (serial number 42-29813), which S/Sgt. Jackson and the rest of the 10-man crew were serving in that day, was hit by flak over Hamburg, Germany, on the first Allied mission to bomb that key German city. He survived the incident but was taken in as a POW of the Nazis. After almost two years in various POW camps, Gordon Jackson was liberated by the Allied forces which literally knocked over the barbed wire fences surrounding the POW camp he was in at the time, to the cheers and excitement of those Allied POWs who had been imprisoned there. He died in a hospital in Oklahoma City following a brain operation that was considered necessary due in part to the deplorable, difficult conditions he had faced for nearly two years in Nazi prisoner of war (POW) camps. See more below about the circumstances that led to his death. The image above is his senior picture. Undoubtedly the most famous of the 44 men we are honoring is Colonel Charles Clark “Sonny” Kegelman. His accolades are extensive and his love for El Reno was real. Meriting the award, Kegelman led the American contingency of airmen on the very first U.S. raid on Nazi targets in the European Theater of Operations--but it was given him not just for that fact. This mission is famously known as the 4th of July Raid (or similar) and the First Raid of the Mighty Eighth Air Force. It was truly an incredible mission during which then Captain Kegelman’s aircraft was hit by a flak burst while attacking the target. This flak blew off the propeller of one engine on his plane and caught that same engine on fire. The raid was being done at extremely low altitude, and this incident caused the aircraft to collide hard with the ground. Kegelman and his crew literally survived bouncing their twin-engine A-20 Havoc / Boston type aircraft off the ground; the collision knocked a large hole in the bottom of the fuselage of the aircraft. 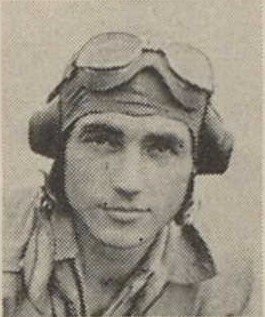 Captain Kegelman skillfully righted the plane and somehow extinguished the fire in the engine, after which he shot out a Nazi anti-aircraft tower then safely limped his battered aircraft back to base. They had a “wheels-up” landing back at base, and while the aircraft was so badly damaged that it was irreparable, Kegelman and his entire crew survived. For his gallantry in action and coolness under extreme circumstances, he was awarded the DSC, while the rest of his crew members each received the DFC (Distinguished Flying Cross). Kegelman’s actions on that first U.S. raid were so well known and reported that at least three major artists’ renditions of the mission have since been made, and at the time they even ran a quite respectful comic book type version of it in publications. Kegelman’s name--and the name of his truly beloved hometown, El Reno, OK--made the front page of newspapers across the United States and even in places around the world. Kegelman went on to fly what were basically P-51 Mustang fighter planes in the war, eventually being transferred to the Mediterranean Theater of Operations. After that, for about a year he trained other pilots stateside at Will Rogers Field in Oklahoma City, but he desperately wanted to get back in the action, and his request was granted. He then took command of a B-25 Mitchell medium bomb group in the Pacific Theater of Operations. It was there on a routine mission that his wingman lost control of his aircraft, sheared off part of Kegelman’s wing, and ultimately caused Kegelman and his entire crew to perish in a crash in the Philippine jungle. 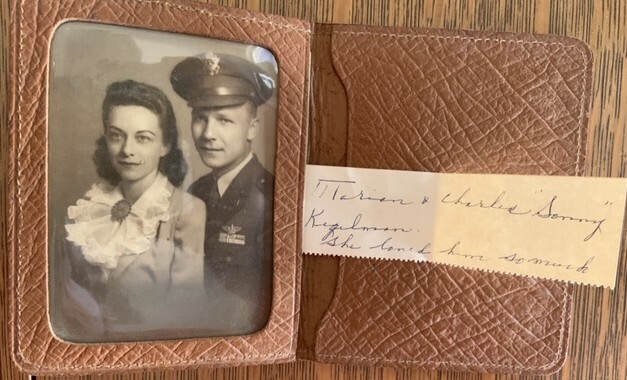 Charles Clark Kegelman was married to Marian Eleanor Dale, who was the niece of Etta Dale, long-time El Reno educator for whom Etta Dale Junior High School in El Reno is named. The couple had no children. 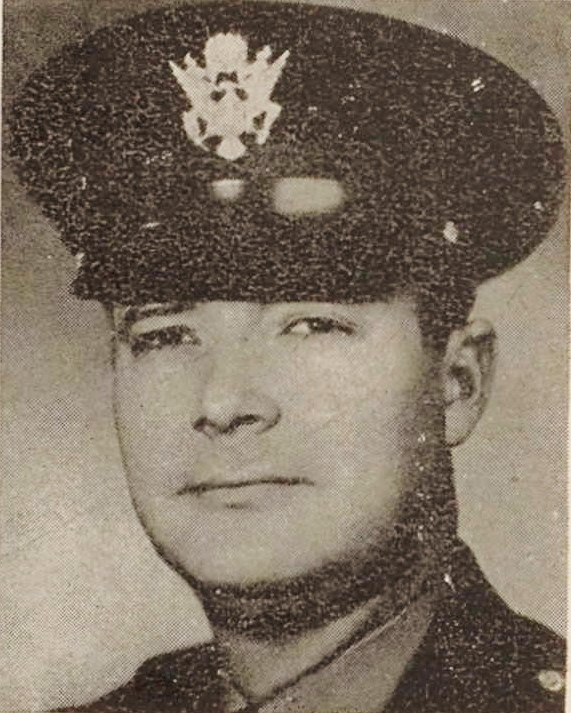 After his death, Charles Clark “Sonny” Kegelman was inducted into the Oklahoma Military Academy Hall of Fame, had the Auxiliary Field for Vance Air Force Base named in his honor, and had the local VFW Post #382 in El Reno also named in his honor. The Douglas A-26 Invader aircraft that sits in front of the El Reno VFW Post was nicknamed “Sonny” in Kegelman’s honor. That particular aircraft is similar in design (a follow-up model, if you will) to the twin-engine Douglas A-20 Havoc / Boston that Kegelman flew that famed July 4, 1942 raid in. 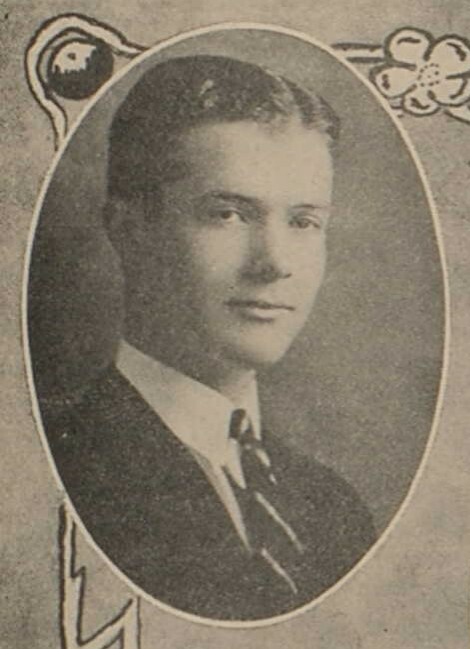 The first attached picture is Charles Clark “Sonny” Kegelman’s senior picture as seen in the Class of 1932 class composite picture hanging in the halls of El Reno High School. Sadly, Kegelman’s last name was misspelled. The last picture is from https://www.historynet.com/first-usaac-raf-joint-combat-mission-july-4th-1942.htm and the Imperial War Museum. It shows Captain Kegelman (on the far right) and his crew standing in front of a Boston bomber like those used in the July 4th raid. Billy Laird was a 1940 graduate of El Reno High School. 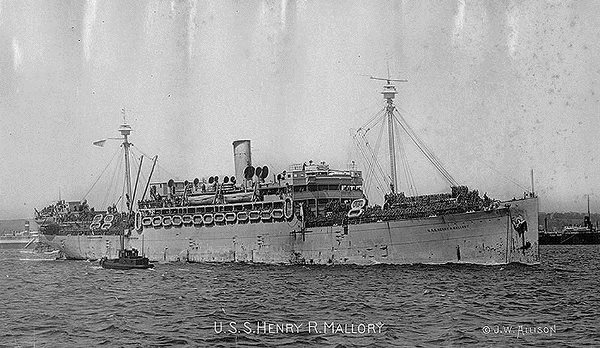 SM3c Laird was one of two signalmen (communications officers) assigned to the troop transport ship named the Henry R. Mallory. The ship he was on was sunk by a German U-boat submarine at 55° 18' N., 26° 29' W in the North Atlantic Ocean, or about 600 miles SSW of Iceland. The ship was en route to Reykjavik, Iceland from New York after making a stop at Halifax, Nova Scotia. A total of 272 individuals died in the incident. 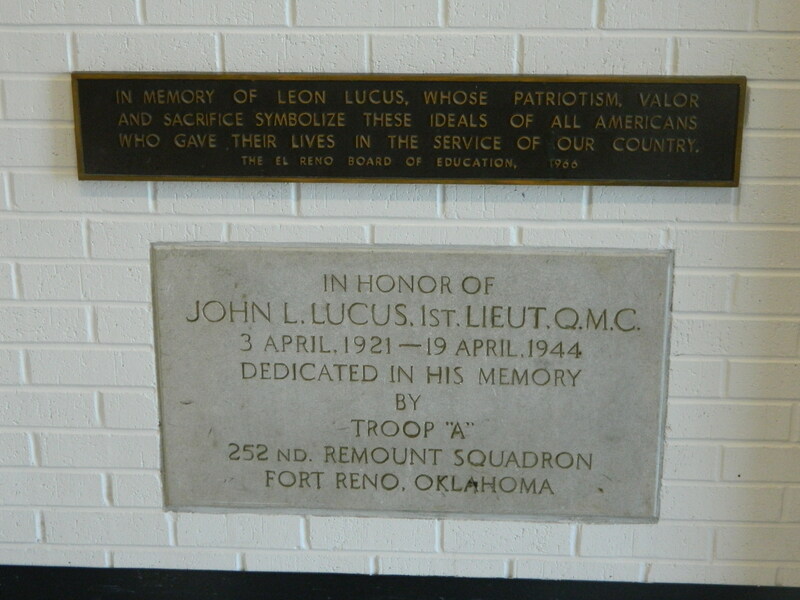 John Leon Lucus was an EHS Graduate in the Class of 1938. Served in the 252nd Quartermaster Remount Squadron and was based at Fort Reno for 14 months. Died from short illness while in service in Italy. Lt. Lucus was the first Fort Reno soldier to die in World War 2. 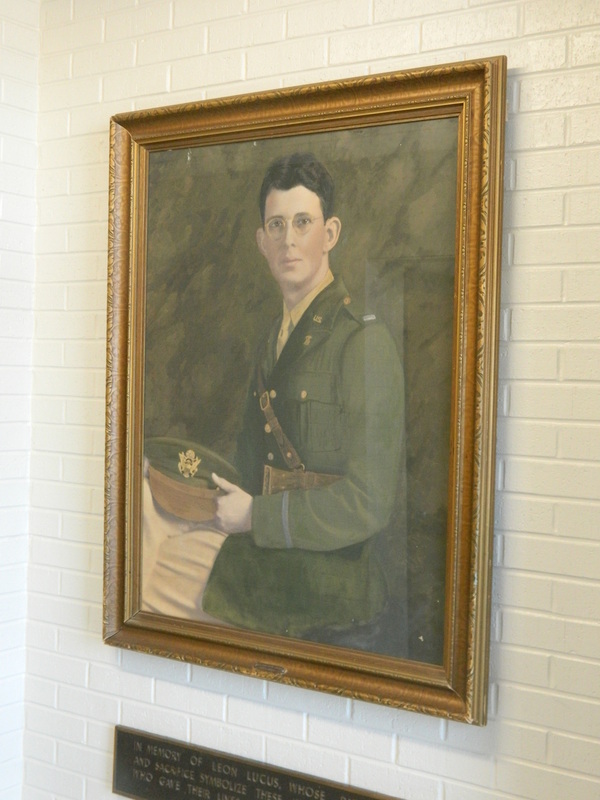 A Lucus Hall was originally built at Fort Reno in 1944 to honor Lt. Lucus. It was later razed along with several other buildings at the Fort. Subsequently, ERPS’s Lucus Memorial Hall was built in 1967. John Richard Matthews was a graduate of El Reno High School, a member of the Class of 1934. During World War 2, 1st Lt. John Richard Matthews was a co-pilot in a B-17 Flying Fortress bomber aircraft in the 8th Air Force, 390th Bombardment Group, 568th Bomb Squadron. 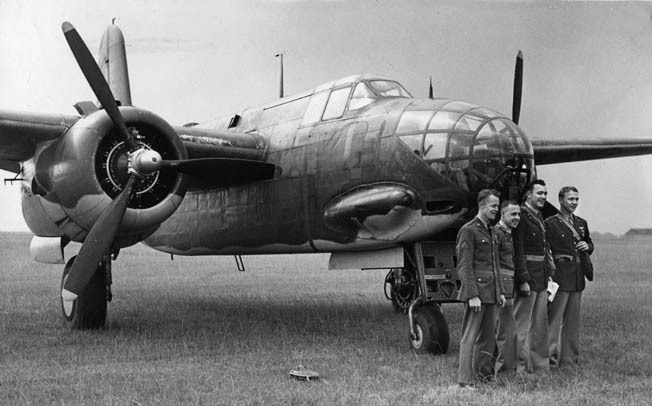 On January 23, 1945, mission to bomb the railroad marshaling yards at Nuess, Germany, 1st Lt. Matthews’ B-17G (#43-39013, which was nicknamed “Smiling Jack”) was struck by flak while on its bombing run. The explosion not only wounded Lt. Matthews, but it also killed the pilot--Jack Wangelin--who was seated to Matthews’ left. 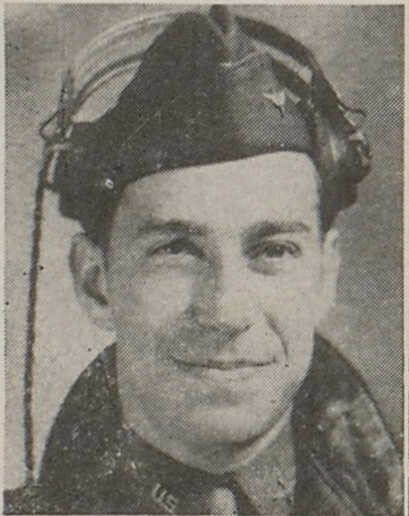 Although attempts were made by other members of the bomber's crew to get the pilot out of his seat, they were unsuccessful, so his body remained at Matthews’ side for the duration of the flight. Lt. Matthews had suffered serious head wounds and thus had blood covering his eyes severely inhibiting his ability to see for the rest of the mission. Matthews successfully continued to control the aircraft with the assistance of the aircraft’s top turret gunner/engineer (who had to read the instruments on the aircraft for the somewhat blinded co-pilot). Lt. Matthews safely piloted the crippled B-17 back to their home base in England. For his extraordinary act of courage throughout this incident, Lt. Matthews was awarded the Silver Star, the third highest military decoration for valor. His actions contributed to saving the rest of the crew and, much less important, even enabled the continued use of that aircraft for the war effort. After World War 2 concluded, Lt. Matthews, now serving back home in the United States in the 317th AAFBU, died on 13 December 1946 in the crash of an AT-6F aircraft which he was flying while searching for another downed aircraft. The accident occurred near Myrtle Beach, South Carolina, but it took quite some time for them to locate the wreckage of his plane in a heavily wooded area. He is buried in the El Reno Cemetery. John Matthews’ younger sister, Bonnie Matthews Wilds, is still living in the El Reno area at the time of this writing, December 2018. He had attended high school at El Reno High School and was a member of the Central Methodist Church in El Reno. He was a member of D Company, 383rd Infantry Regiment, 96th Infantry Division, which was nicknamed the "Deadeyes"
Pfc. Miller was killed in Action (K.I.A.) on 20 October 1944, just about two months after first being shipped overseas, on Leyte Island in the Philippines. The fighting in the Battle of Leyte was considered fierce; we do have some interesting detailed records related to the battle and Miller's specific unit. His body was interred at the El Reno Cemetery. He was an EHS graduate in the Class of 1939. He then attended El Reno Junior College (which was then housed in the basement of EHS, which is now known as the 1st floor of the building). He even took a civilian pilot training course that was offered there, as well. Miller then enlisted in the military in January 1942, shortly after the Japanese attack on Pearl Harbor on 7 December 1941. He became a Pilot of a B-24 Liberator in the 15th Air Force, 465th Bomb Group, 783rd Bomb Squadron. He was Killed In Action (although he was originally considered Missing In Action) when the Consolidated B-24J Liberator which he piloted, aircraft number 44-41012, a four-engine heavy bomber aircraft, was hit by flak over Munich, Germany. The target for the day was the railroad marshalling yards there. His body was eventually recovered and was interred at the El Reno Cemetery in February 1949. ARM1 Robert Edgar Monday, Jr. was present at Pearl Harbor during the Japanese attack on 7 December 1941, and he even was commended for his bravery that day. His actions that day were pretty amazing, but he did survive the incident. He was a radioman and gunner on a Vought OS2U-3 Kingfisher observation floatplane as part of the VO-1 Squadron that served on the U.S.S. Nevada (BB-36) battleship. On 28 January 1943, he and the plane’s pilot were involved in a landing accident near San Pedro, Island. ARM1 Monday received a head injury in that incident and seemed to have recovered from it. 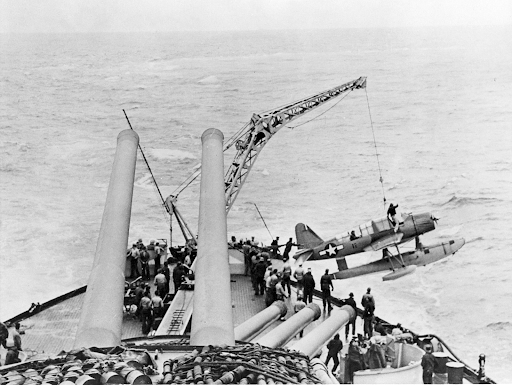 (These landings of these sorts of aircraft were particularly perilous, but observation planes such as this were extremely important to battleships like the U.S.S. Nevada. )However, several months later, ARM1 Monday started having serious complications related to this earlier injury. He underwent minor brain surgery, but it was then determined that more major surgery was going to be necessary. However, he died before that surgery could be performed, and even before his mother could arrive for that surgery. 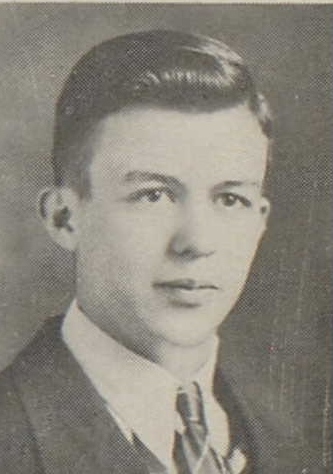 Robert Edgar Monday, Jr. was an El Reno High School graduate in the Class of 1936. 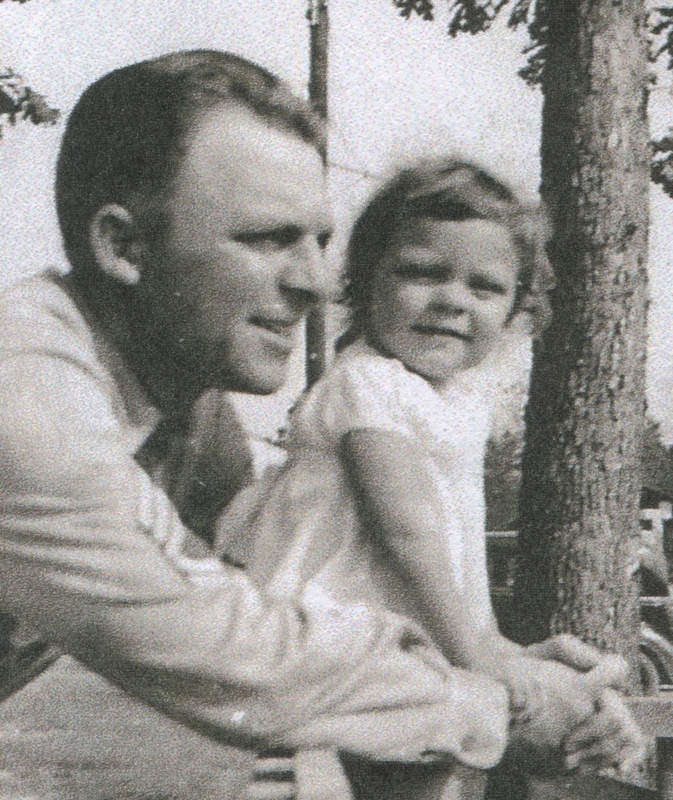 He married Bernice Nadine Oyler on 17 May 1942, and the couple had a son, Coh Rockwell Monday. John Forrest Moseley, who went by the nickname “Pat,” was truly a member of a military family. He was born in Birmingham, Alabama, but his father was in the Army and was eventually stationed at Fort Reno for a time, thus bringing the family to El Reno. Pat’s brother and father-in-law were also in the military later on. After residing at El Reno, Pat moved to Florida where he himself enlisted in the U.S. Army. John Forrest “Pat” Moseley married Helen Lucille Hack and had a daughter when he was stationed at Langley Field in Virginia. He later was stationed at Fort Sheridan in Illinois in the coast artillery anti-aircraft but developed cancer which led to his honorable medical discharge from the military in December 1944. He then passed away at a veteran’s hospital in Hines, Illinois, just a few months later, succumbing to cancer. He was buried at Fort Sheridan. The attached pictures of John Forrest Moseley are from his daughter whom we have had the pleasure to get to know. The one picture shows her with her dad before he passed away. His dad was the pastor at the El Reno First Presbyterian church. Cpl. Mowry served as an ambulance attendant in U.S. Army Medical Corps. He was injured on 18 January 1945 in a troop train accident, but he never fully recovered. He died stateside in an Army hospital after consenting to give blood for a transfusion. 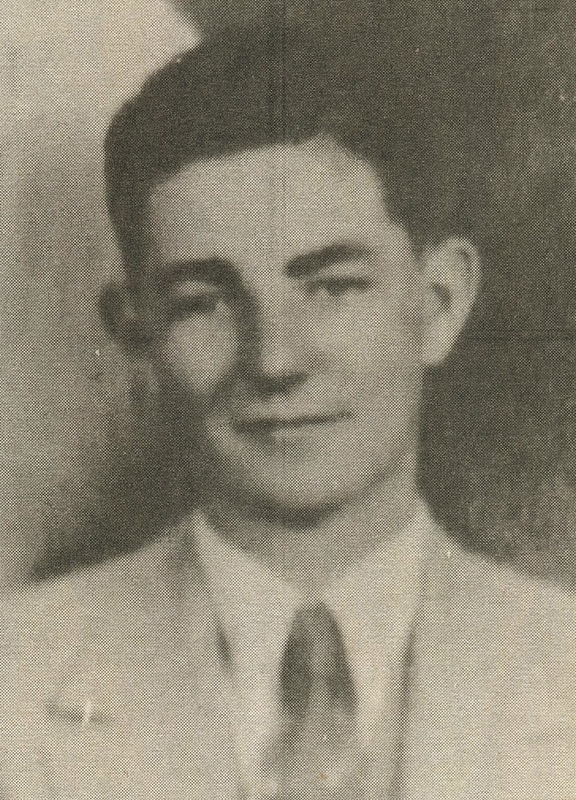 Clarence Arthur Pearce was a graduate of El Reno High School's Class of 1938. While at EHS, he was involved in various groups, played right halfback on the football team, and most notably served as senior editor of the Boomer-Collegian student newspaper for El Reno High School. 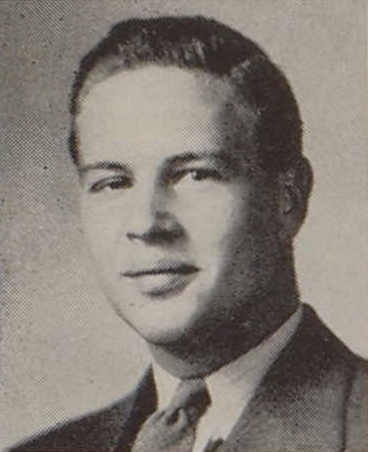 Clarence Pearce, Jr. then went on to attend the University of Oklahoma (OU) at Norman, Oklahoma, and each year while there he served on The Oklahoma Daily student newspaper staff, starting out as a reporter his freshman year and gradually working his way up to senior editor by his senior year. He then received his degree in journalism from OU, graduating with the Class of 1942. In the military, Pearce served as a combat correspondent for the U.S. Army Air Forces. He earned the Air Medal while in the service. Furthermore, he distinguished himself yet again in organizing the Allied new coverage of the historic D-Day operations in June 1944. For this, he was awarded the Bronze Star, a high military honor. 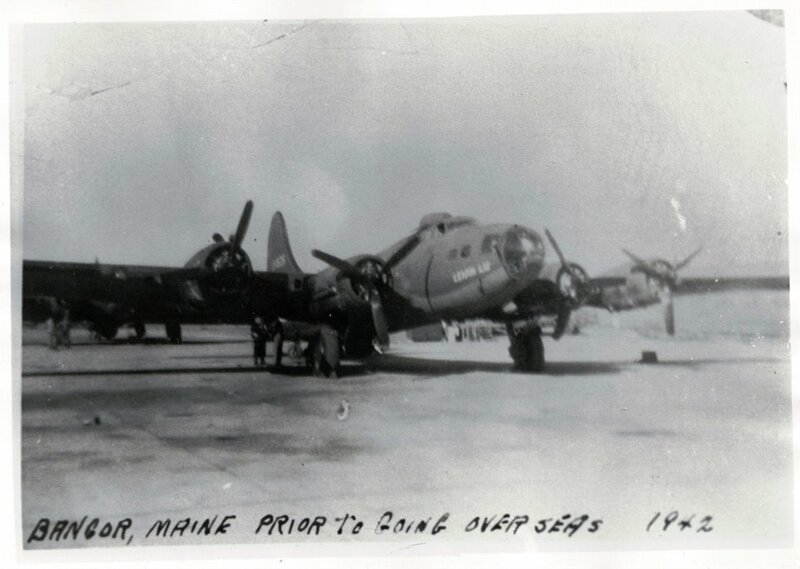 On 24 March 1945, while in a B-17 bomber which was being used as an observation ship, T/Sgt. Pearce was Killed In Action during an airborne crossing of the Rhine River. Their plane was struck by flak, and everyone except the pilot (who made a successful belly landing with his wing on fire) bailed out of the ship before it crashed. Tragically, however, T/Sgt. Pearce’s parachute failed to open, resulting in his death. Served aboard the destroyer U.S.S. Leopold Was Killed in Action when his destroyer, which was escorting merchant ships, was attacked by a German U-boat in the North Atlantic. It is unknown exactly how he died--in the attack itself, or along with several others who died shortly afterward in life rafts in the horrendous conditions in the North Atlantic. Several men from his ship died from exposure in the life rafts before they could be rescued. S1 Jack Ridenour had a wife and daughter at the time of his death. Both are still living; his widow is now 92 years old, living in Texas, and I've had the distinct pleasure and honor to interview over the phone. Comparatively little is known about the life of Clarence Thomas Rider. He attended schools at both Minco and El Reno. On 28 February 1945, during the Battle of Iwo Jima, HA1 Rider realized that there were 12 men of the Fourth Marine Division who were pinned down, exposed to enemy fire on the battlefield and in need of assistance. Disregarding his own safety, HA1 Rider ran toward them through heavy enemy fire in an attempt to come to their aid and rescue them. Wounded, he was taken aboard the U.S.S. Ozark off the coast of Iwo Jima, but he died the very next day, on 1 March 1945, from the wounds he had received. Killed in Action when his B-17 “Leapin Liz” 41-24526 was hit by flak just after the target area of the Nazi submarine (u-boat) pens at St. Nazaire, France. The plane, having been able to drop its bombs on the port city, had recently been disabled by fighters and was already losing altitude when it was struck by a direct burst of flak and exploded in mid-air. (Dale originally listed as MIA for one year, then updated to "Presumed KIA" one year later.) 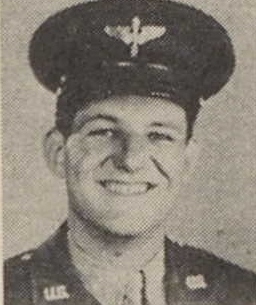 All ten men on his B-17's crew perished. Dale flew two missions on the more well-known "Sky Wolf" B-17 as a substitute gunner (they actually made two diecast models of that specific plane). His group was active and flew missions at the same time as the famed "Memphis Belle" of the 91st Bomb Group was flying. The attached pictures are as follows: 1) Dale in uniform wearing his Class A service cap 2) Dale in his flight suit during training somewhere stateside in 1942. 3) A picture of "Leapin Liz" on the tarmac at Dow Field. Was married to Dorothy Lee Pritner (later Klohn) and had children. He served in the 22nd Infantry Regiment, 4th Infantry Division. He participated in the 6 June 1944 D-Day invasion on Utah Beach, then was wounded in action about a week later. He died from his wounds about a week after he was injured in battle. He is one of four of the original 38 (that Memorial Stadium was originally dedicated to) who actually did NOT die during World War 2, but after. In his case, it was more than 11 months after World War 2 officially ended on 2 September 1945. 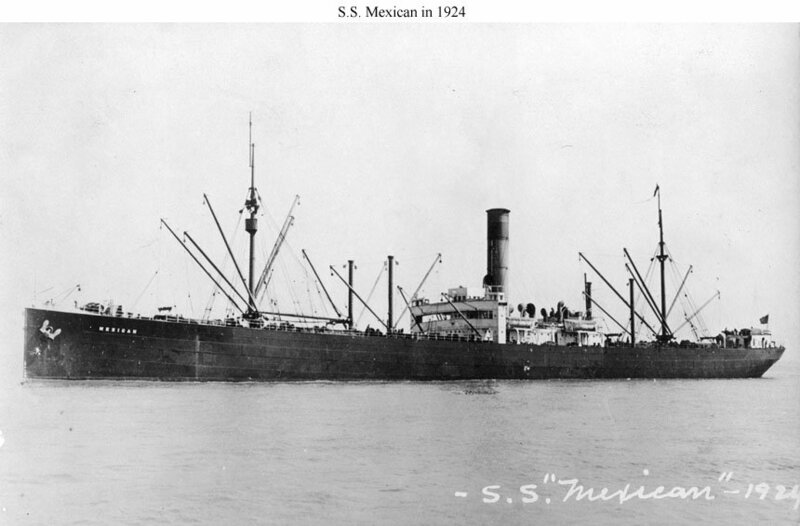 However, Whitlock did serve in the Merchant Marines from 1941 on, so he definitely served in World War 2. He served on the S.S. Lane Victory--which is now a museum in San Pedro, California--at some point. He almost certainly was serving on it at the time that whatever caused his death initially happened to him. He died in a hospital near Manila in the Philippine Islands. Offa Wilson attended El Reno High School. He played right end on the football team. His Family was from Geary, where he is buried. WT1 Wilson was Killed in Action (K.I.A.) while serving aboard the U.S. destroyer U.S.S. Porter (DD-356) related to the Battle of the Santa Cruz Islands. The Porter was struck in a friendly fire incident--really a pure accident--as she was hit by an errant torpedo carried by the TBF Avenger torpedo plane whose crew she was stopping to rescue. He graduated from El Reno High School as part of the Class of 1935. He served as a cook on several vessels in the Navy and was in demand enough that the Navy often designated him to serve special dignitaries or guests stateside when not on a boat/ship. SC Wright perished, being Killed in Action (K.I.A.) 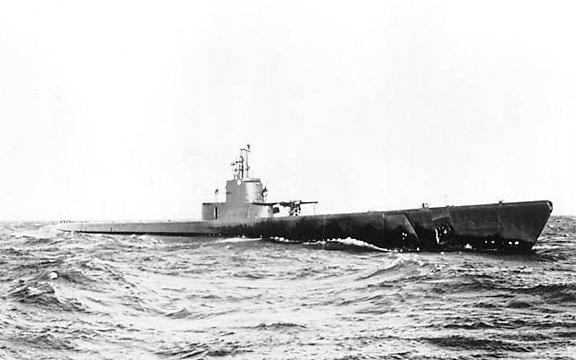 along with the rest of the crew when their submarine, the USS Golet (SS-361)--submarines are known by Navy personnel as boats, even though they have the USS designation--was sunk by the Japanese off the northeast coast of Japan. Earlier, Homer Don Wright, who often went by Don, married Ardath Adele Gore, and they had a son (who is still living in the El Reno area) who was born just a couple of weeks after Don’s death. Because his ship was a submarine, however, and out at sea, the family did not know until after the war ended exactly which day his boat was lost. Up to that time, Don was listed as Missing in Action (M.I.A.) His wife had seen him off just before he boarded the USS Golet, which was a newly christened boat. The family still has his Purple Heart and other awards, records, photos, and other information related to his service. The pictures attached are of him (from the family’s personal collection) and of the submarine that he was lost on, the U.S.S. Golet, from the website submarinememorial.org. *Servicemen Information from Brian Rukes.